This is collection of early America's unique coins - the Large Cent, Two Cent and Three Cent coins. America’s first Penny coin was about the size of a Half Dollar! Known as the Large Penny, it was made with copper, and it was one of the first coins ever struck by the new United States Mint in 1793. The obverse of the coin features a portrait of Liberty surrounded by 13 stars (representing the original 13 states), while the reverse shows the denomination within a wreath. The coin is so large because it actually contained one penny’s worth of copper. Like the silver and gold coins of this era, its intrinsic metal value was equal to its face value. As a result, people trusted this coin because it was always worth its face value. By the 1850’s, small denomination coins like this were becoming scarce because people were hoarding them due to economic uncertainty and the fear of civil war. Just a few years after the last Large Penny was issued, the Civil War started. Starved for coinage of any kind, Americans readily embraced the two-cent piece when it made its first appearance in 1864. Struck for only 10 years (1864 - 1873), the two-cent piece was the coin that introduced the motto IN GOD WE TRUST. The first 3¢ coin was made in 1851; it was first created to make it easier to buy a single 3¢ postage stamp (the cost of mailing a letter). As a result, the 3¢ piece is known as the “Postage Stamp” coin. 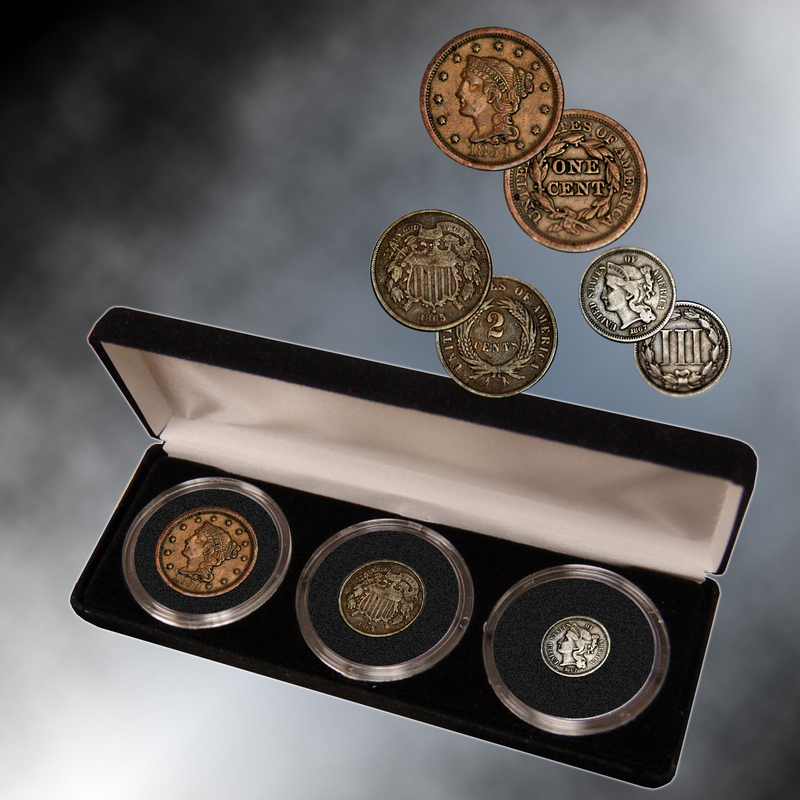 Due to a shortage of silver at the end of the Civil War in 1865, the U.S. Mint started making the 3¢ coin in a copper-nickel alloy. The coin became known as a “Nickel,” although that name was later used for the 5¢ coin. When the letter rate dropped to 2¢ in 1883, this coin was no longer needed, and the last 3¢ coin was struck in 1889. 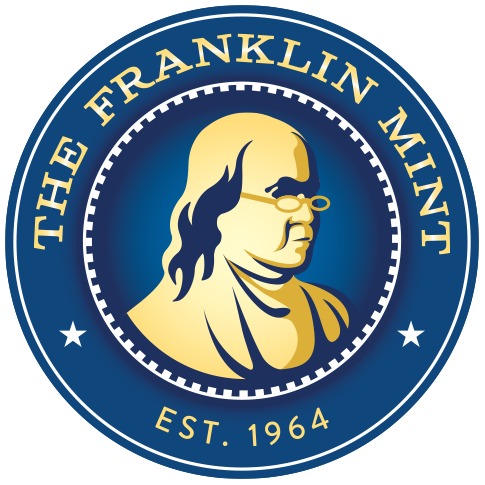 All coins were struck at the U.S. Mint in Philadelphia. All coins are over 120 years old and have been out of circulation since Benjamin Harrison was President and the Statue of Liberty was still a novelty after its dedication in 1886.